Use custom Windows performance counters. They are very lightweight (1 to 2%), and you can use them not just to count, but also for timing measurements, to look at how often certain operations are slower than a threshold, etc. If you're using IIS 7, you can enable Failed Request Tracing. To limit the perf impact, be careful to not enable it for too many pages. Those traces can provide lots of detail, and you can inject more info into them programmatically if you need to. Use the Windows Event log to write custom details under exceptional conditions. Perf impact is minimal as long as you don't over-do it. One cause of sawtooth memory behavior can be not calling Dispose() when you should (or wrapping IDisposable objects in using statements, which will call it for you); you might want to review your code to look for that. 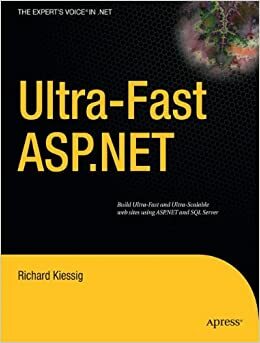 In case it's helpful, you might also be interested in the performance tips from my book: Ultra-Fast ASP.NET. Edit: you might also try using .NET Memory Profiler (free trial available) to attach to the running process. It's fairly invasive compared to counters, but if you need to capture a snapshot of the current state of memory to debug your problem, there may not be a better choice. Can I listen to SQL Server Service Broker queues from .NET applications running on a different machine? If so, should I do it? You might consider using SqlDependency. It uses Service Broker behind the scenes, but not explicitly. You can register a SqlDependency object with a SELECT query or a stored procedure. If another command changes the data that was returned from the query, then an event will fire. You can register an event handler, and run whatever code you like at that time. Or, you can use SqlCacheDependency, which will just remove the associated object from the Cache when the event fires. You can also use Service Broker directly. However, in that case you will need to send and receive your own messages, as with MSMQ. In load-balanced environments, SqlDependency is good for cases where code needs to run on every web server (such as flushing the cache). Service Broker messages are better for code than should only run once -- such as sending an email. In case it helps, I cover both systems in detail with examples in my book (Ultra-Fast ASP.NET).